Stand up paddle boarding at Donna Cay. Donna Cay is an uninhabited and low elevation island located to the northeast of Providenciales. The total landmass of the cay is about 94 acres (38 hectares). 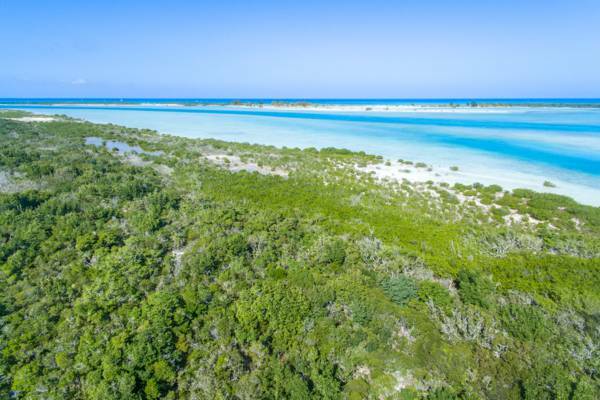 The majority of the cay consists of marine coastal vegetation, low and semi-lithified limestone dunes, and thatch palm forests growing in sandy dry soil. Small pockets of red mangroves fringe the western and northern coasts of the island. The three islands of Donna Cay, Little Water Cay, and Mangrove Cay compose the Princess Alexandra Nature Reserve, which is a small counterpart to the extensive and important Princess Alexandra National Park. 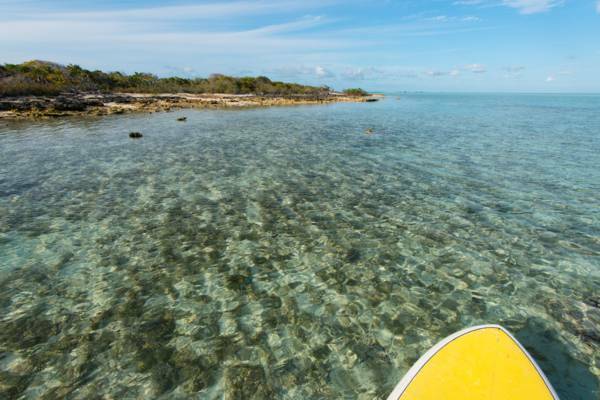 Although Donna Cay does not have the sheltered interior wetland channels of the neighboring Mangrove Cay, the cay is still a great place to explore by kayak or stand up paddleboard. As is the case with many of the small uninhabited islands in this area, the Turks and Caicos Rock Iguana can be found hiding in the low rocky bluffs and scurrying through the undergrowth of Donna Cay. Donna Cay and Half Moon Bay. Last reviewed by an editor on 17 September 2018.